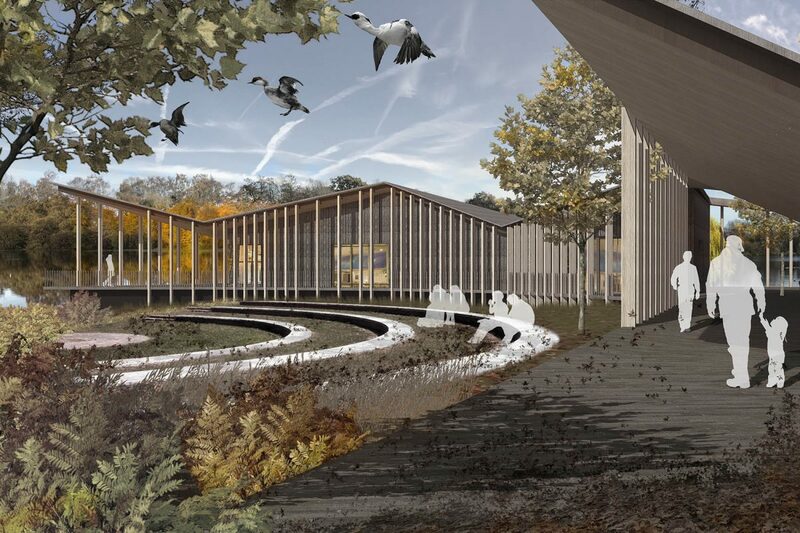 Our proposal for a new Visitor Centre at the heart of the Sevenoaks Wildlife Reserve forming a wellbeing hub for local residents and a gateway to the wider Kent Countryside for visitors. One Roof. One Landscape. Three buildings. 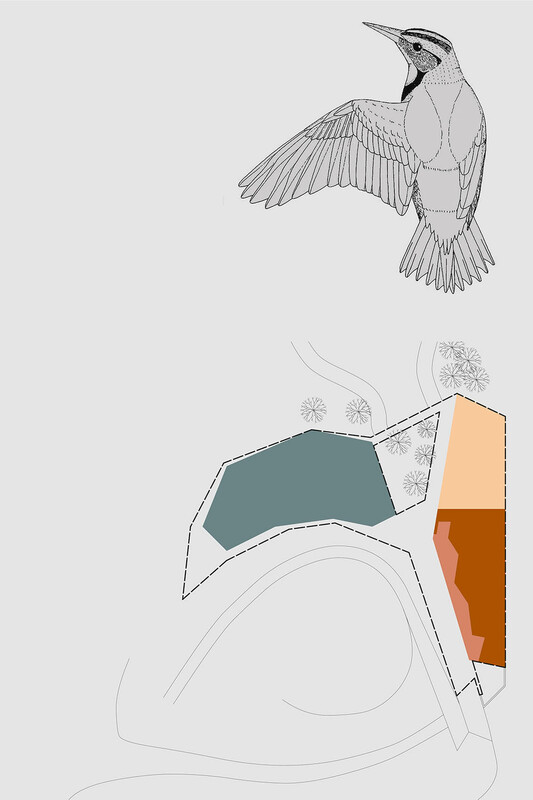 Our proposal for the new centre is a zoomorphic winged roof form which wraps around an amphitheatre and under which three buildings co-locate reserve-wide and county wide resources for the community. The building forms a departure point to the wider Kent Countryside. The larger of the buildings contains the main social spaces for visitors; information, meetings rooms, a multi-purpose hall and café. A second building provides services and welfare facilities while the third provides operational support spaces for volunteers and staff. All buildings are able to operate independently or in support of each other. The landscape and the winged roof form encourages learning and wellbeing through curiosity and a close relationship between built form and nature. The single folded roof is supported on a colonnade surrounds the buildings. 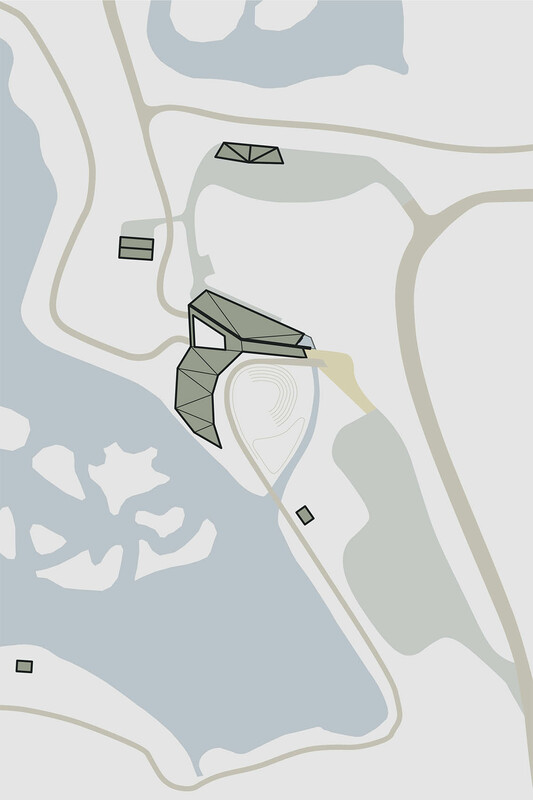 The colonnade increases in depth depending on solar-orientation or the functions which it accommodates such as a café or areas to allow protected observation of wildlife on the West Lake. 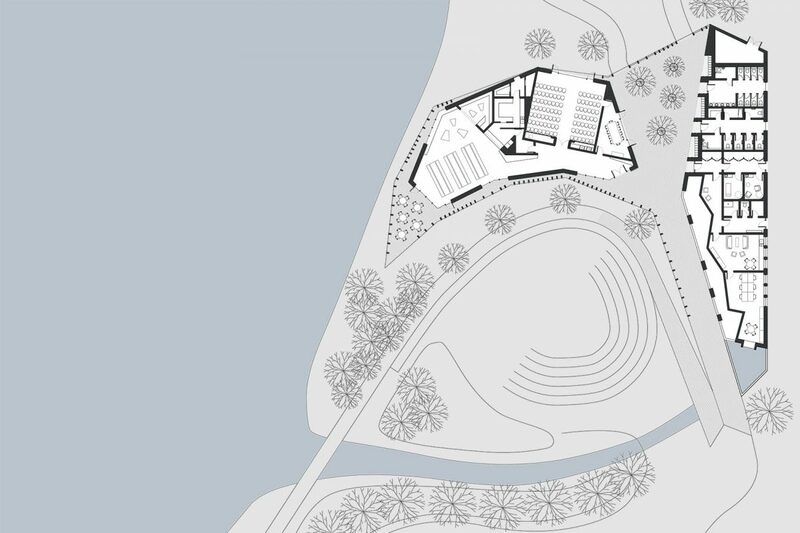 At the centre of the building an open courtyard forms the heart of the centre as not only the place of departure for trails around the reserve, but also a multi-functional external space which can be used as a classroom, dynamic exhibition space, event space or simply a place of contemplation as the views open out to the north, providing extensive vistas over the West Lake and beyond. 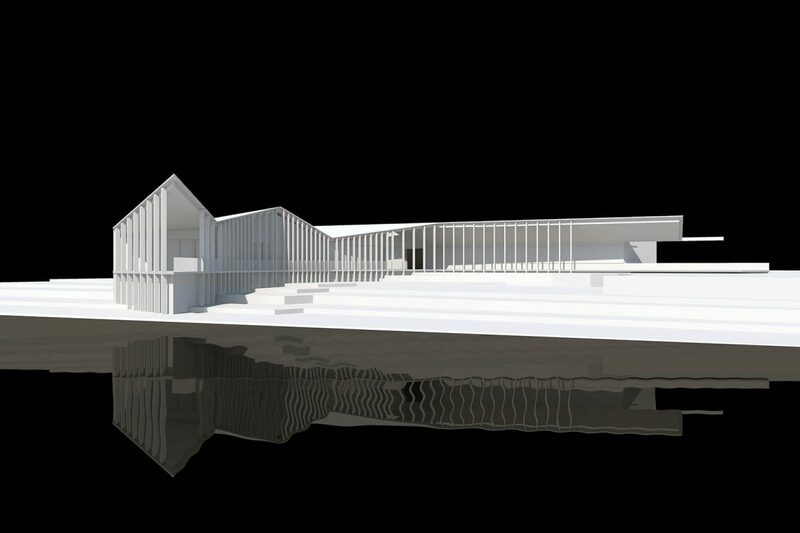 The building is constructed from Cross Laminated Timber (CLT) and clad in black timber shakes. A colonnade of green oak columns which will weather to a silvery grey strongly contrast against the black walls beyond and echo the verticality of the woodland around. Three of the seven folded roof forms are optimally orientated on a south-west axis to utilise a PV array to harness the suns energy. This array will provide power for lighting the buildings and a ground-source heat pump which could supply all space heating and hot water for the new building.